Abstract: Sport participation is widely recognized as an avenue to promote personal development, but this can be disputed. Although sports can foster confidence, social skills, leadership, and school adherence, they may also cause increased aggression, gang affiliation, and substance abuse. The determining factors for positive outcomes in youth sports are coaches’ attitudes and behaviours. As such, Dr. Falcão’s research focuses on the use of sport for development, particularly among underrepresented populations such as youth in low socio-economic communities or athletes with a disability. Through his research, he has developed, implemented, and evaluated coach education interventions focused on promoting development through sport. He has also researched how coaches of Paralympic athletes and youth athletes with a disability learn to coach. Moving forward he is interested in collaborating with community sport organizations to identify their needs, develop intervention strategies to improve their interventions, and evaluate their effectiveness promoting development among sport participants. 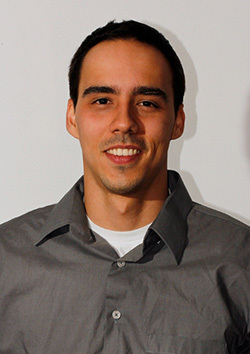 About the Speaker: Dr. William R. Falcão is a Postdoctoral Fellow in the Department of Physical Education at Laval University in Quebec City, Canada. His research interests include athlete development through sport participation and coach education. In particular, his doctoral work completed at McGill University entailed the development, implementation, and assessment of a coach training protocol that fostered the personal development, health, and well-being of young athletes. Currently, at Laval University he investigates the developmental needs of student-athletes in the high school sport contexts. In total, Dr. Falcão has 10 published articles (three as the first author), four book chapters (one in Portuguese as the first author), and have presented at more than 20 conferences worldwide.